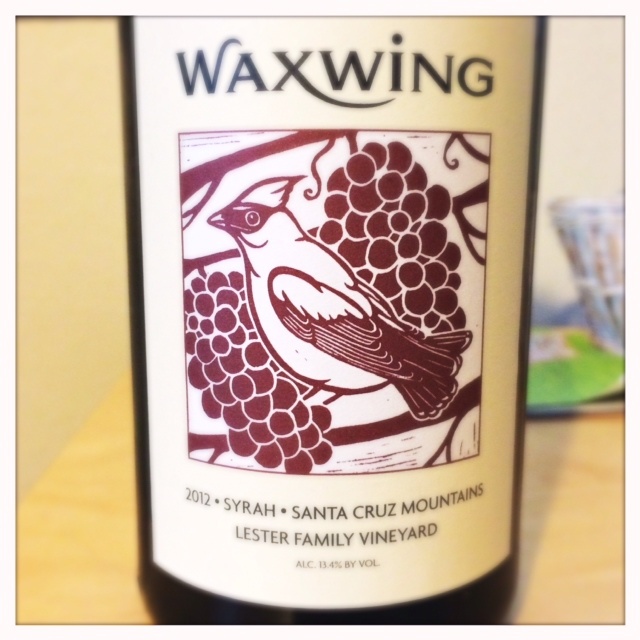 Waxwing Wines, down here on the peninsula, is probably one of the best small wineries you’ve never heard of. It’s a winery in a unique industrial location but Scott Sisemore is making some amazing wines worth checking out. 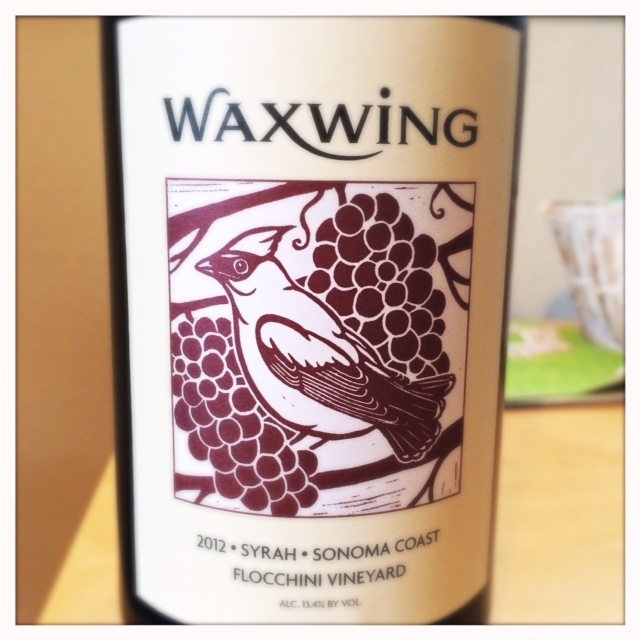 The Flocchini Syrah ($32, ABV 13.4%) is from the famed Petaluma Gap region, an area named for a gap in the Sonoma coastal hills that lets in cooling wind. That wind allows the area to grow cool-climate varieties like Pinot Noir, Syrah, and Chardonnay. Petaluma Gap wines are generally known for their rich and full mid-palate but also their intense savory aroma profiles. This wine has all that in spades. On the nose there’s a ton of minerality. I know minerality is a controversial term among tasters but if you’re looking for a wine just begging for that description this is it. It’s also got a lot of that plum aroma that I look for in cool-climate Syrah. The mid-palate is sweet and full, and right now, because this is a 2012, it’s got a bunch of mouth drying tannins on the finish. Let’s not be coy, this is a wine that will need some time to mellow. It’s a little unwieldy and decanting will help. I asked Scott about the tannins and he said that the vineyard block he is getting is all Noir clone that has a tendency toward a pretty big tannic finish. He believes in letting the vineyard be what it’s supposed to be so he hasn’t considered any protocols to help manage that burst of tannins. I respect Scott’s decision because the tannins point to what is great potential for aging. The Lester ($32, ABV 13.4%) is all green peppercorn on the nose, I mean green peppercorn in a way that would be impossible to mis-identify. There’s a background of blackberries and another unmistakable aroma, dust. 100% stem inclusion in the wine accounts for a lot of that unexpected aroma profile. Just like the Flocchini, this wine has a rich and full mid-palate but with less tannin on the finish. There’s a complexity to the wine that’s pretty intense but also a tad awkward at the moment. I think it’s a wine that’s going to age really well over the next few years and it will be exciting to see it develop. Like many wines from the Northern Rhone, both the Flocchini and the Lester are wines that, given some judicious decanting or breathing, are beautifully elegant yet full examples of Syrah. Do yourself a favor and put these down for a while to see how they do in a couple of years. These wines were provided as samples for purposes of review.